Rep. Ed Royce (R-CA), who chairs the Committee, denounced the Obama administration in April 2016, for allowing Iran “to launder dollars while the administration looked the other way.” The hearing he held last week aimed at finding new ways to curb Iran’s and Hizballah’s international crime syndicates that fund their terrorist activities. Obama is no longer the president, but Democrats in Congress continue his “Iran-First” legacy. 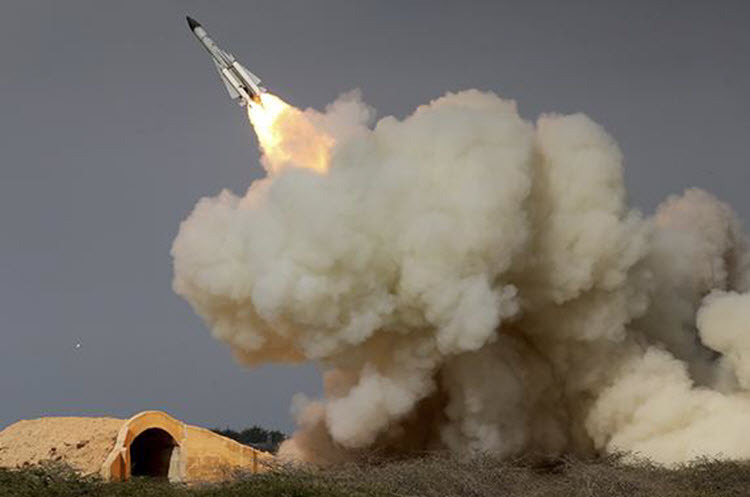 Last week, 92 Senators voted to advance with the “Countering Iran’s Destabilizing Activities Act of 2017” to impose new sanctions on Iran’s ballistic missile program, the Iranian Revolutionary Guard Corps, enforce arms embargoes, and block assets of individuals engaged in terrorism and human rights violations in Iran. The six Senators who voted against, Carper (D-DE); Durbin (D-IL); Feinstein (D-CA); Gillibrand (D-NY); Merkley (D-OR), and Sanders (I-VT), argued in favor of postponing the vote “as a goodwill gesture” to the Iranians after last weeks ISIS attack on the Parliament and Ayatollah Ruhollah Khomeini’s shrine in Teheran. Incredibly, Sen. Carper called to “hit the pause button,” suggesting the sanctions would be akin to “rubbing salt into a wound… let’s wait a few days and consider what to do,” he said. Displaying his lack of minimal understanding of Mullahs’ terrorist regime, he argued, “If we were in their shoes, I think we would appreciate that gesture.” One wonders why Sen. Carper and his colleagues continue to call for “good will gestures” towards Iran who unfailingly proved its hostility to the U.S. The Obama “Iran-First” policy followers in Congress have been demonstrating a dangerous delusion that Iran, which supports global terrorism, supply arms that kill American soldiers in the Middle East and Afghanistan advancing their own and North Korea’s nuclear agenda, encouraging mobs chanting “death to America,” “Death to Israel,” and “Death to Saudi Arabia” are friends, not cunning maniacal enemies of the U.S. 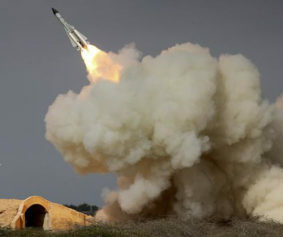 The Trump administration’s efforts to curb Iran’s ballistic missiles development and terrorist financing are likely to be hindered by leftover Obama loyalists in the government who followed Obama’s orders to even launder billions of dollars in clear violation of U.S. laws. Such activities were carried since March 2012, when some sanctions lifting began to incentivize Iran to attend the negotiations in Geneva. At that time, “Nobody could pay the Iranians via normal lines, not even in euros” a European oil trader was quoted saying. How then did Iran access the payments? Were offshore dollar clearing houses used already then to launder the money sent to Iranian banks? Was the same system used for each financial “reward” Obama handed Iran to come back/continue the negotiations? To ease economic sanction and payments to Iran and to sidestep Congress, James Clapper, Obama’s Director of National Intelligence removed Iran and Hezbollah as sponsors of terrorism from the “Worldwide Threat Assessment of the US Intelligence Communities,” in February 2015. The loud criticism of this report, apparently, kept both on the U.S. government designation as terrorists, but the money to Iran kept flowing. The new sanctions on Iran should prevent any money going to any business, organizations, and individuals involved in the regime’s overt and covert military operations. The Trump administration’s efforts to curb Iran’s activities would also be helped by finding out how much money did the Obama administration funnel to Iran and its proxies since he took office in 2009. This commentary was published by American Thinker, June 13, 2017.